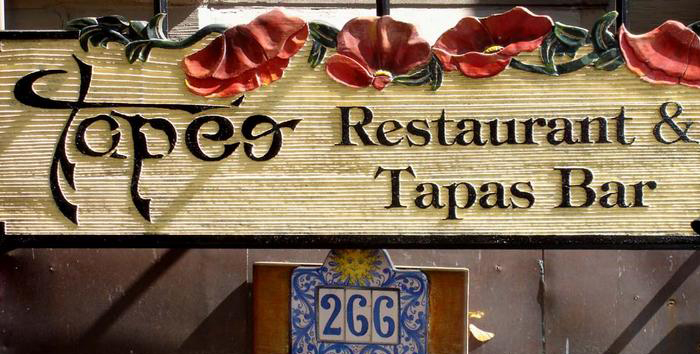 Went to Tapeo on Newbury Street for dinner and drinks last night. 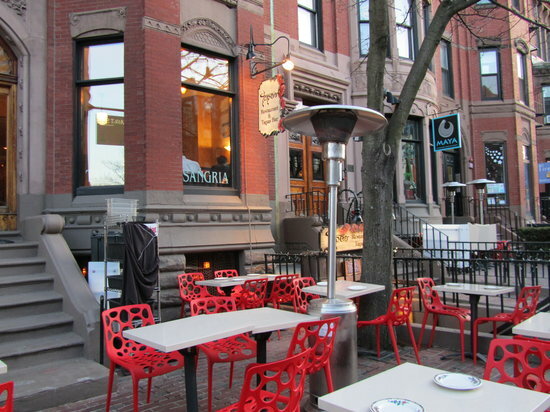 Every restaurant with an outside patio on Newbury Street had nothing less than a 45 minute wait. Thankfully, we managed to get a table at Tapeo asap. We ordered a pitcher of delicious sangria and other delectable items from the Tapas menu. I am sure other Bostonians feel the same way, but yesterday was a day we have all been looking forward to in months! There is no better feeling than drinking sangrias on the patio with the sun beating on your skin at 6pm.